I know, I know, Summer is over and days in the sunshine enjoying cocktails, BBQs and bowls of strawberries probably seems a bit of a distant memory but I can't be the only person still secretly hoping for an Indian Summer in the North East? 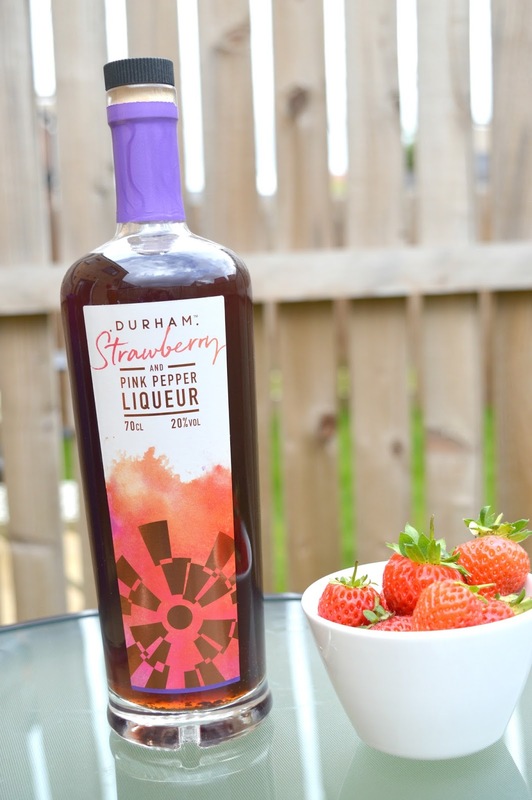 I'm still clinging on to the last few days of Summer and am very happy that locals Durham Distillery are helping me with a rather special bottle of Strawberry and Pink Pepper Liqueur which tastes so good splashed into a glass of Prosecco! I'm definitely not limiting this baby to Summer and am already dreaming up some rather special Christmas cocktail creations so I can carry on enjoying this as the colder months arrive. If, like me, you've never heard of Durham Distillery then allow me to introduce them to you. Durham Distillery are a small batch craft distillery with a huge passion for creating handcrafted gin, vodka and liqueurs right here in the North East. Using traditional methods, each small batch creates only a few hundred bottles at a time which are bottled and labelled by hand. It's this extra little bit of love and care which made me really fall in love with this wonderful local business. Durham Distillery are the creators of Durham Gin. Handmade in a copper pot still, the gin is created with hand crushed juniper berries mixed with botanicals including Angelica and Pink Peppercorn, locally sourced Durham spring water and pure grain spirit. If Gin isn't your tipple of choice then the Distillery also produce Durham Vodka using the tails of the Gin slowly filtered through a custom built filtration column. Their Strawberry and Pink Pepper Liqueur launched this year and since getting a bottle it's been a huge hit at our home bar (the fancy word I use to describe our cupboard in the lounge that's full of bottles). 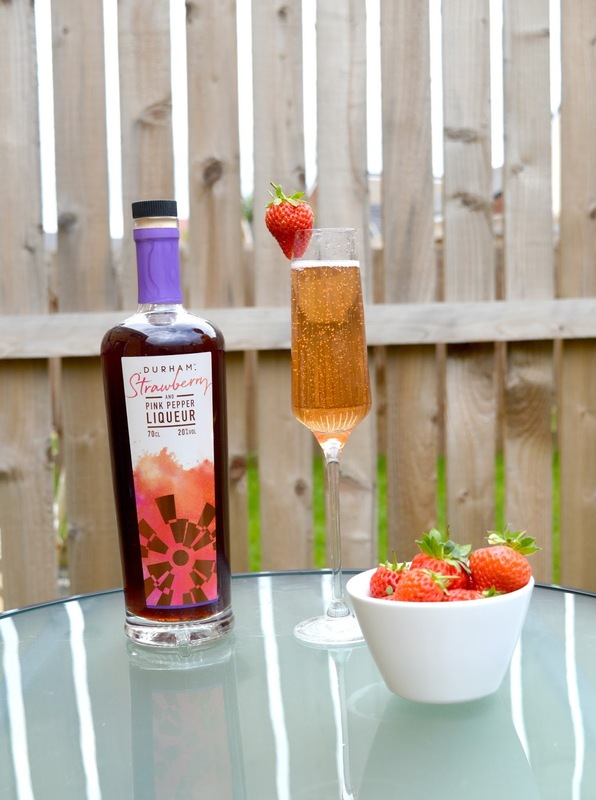 Fresh pressed strawberry juice combined with their signature Durham Gin, the fruity liqueur has a lovely warm finish. You'll find Durham Distillery stocked nationwide and at some of my very favourite spots across the North East including Jesmond Dene House, Fenwick Newcastle and The Lord Crewe Arms. For more information on where you can taste some of their delicious drinks check out their stockist list here or if you want some for your own bar at home you can. Love Gin? Check out my recent visit to the Botanist Gin Masterclass. We were sent a complimentary bottle of Strawberry and Pink Liqueur as a treat but our love for Durham Gin is very real! I’d not heard of these guys so thanks for bringing them to my attention. I love adding stuff like this to my prosecco! Makes it feel extra special. This sounds very interesting, I'll have to keep my eye out for it!